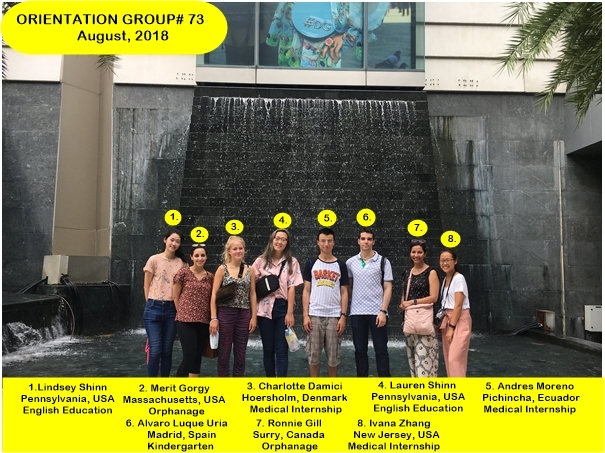 Presenting Bangkok Volunteer Group #73! This group of eight volunteers and interns are from Denmark, the USA, Spain, Ecuador and Canada. This group completed orientation over the weekend and started in their projects on Monday.